Senior Lecturer in The City Law School, Dr John Stanton, explores the damaging effect of the central government’s move to overturn the decision made by Lancashire County Council to green-light fracking at sites near Blackpool. Imagine this: supplies of gas, potentially useful for future energy supplies, have recently been discovered underground near where you live in Lancashire. The process through which that gas would be harvested raises widespread concern for the causing of cancer, your water could become polluted and you could live with the constant fear of earthquakes. The present and future lives of your family could be disrupted. You would hopefully feel well served by your County Council, therefore, when an application to proceed with that procedure is rejected. How might you then feel, however, if members of central government – 250 miles away in London – felt empowered to overturn the decision of your council and give the go ahead to this process, all the while detached from the concerns and anxieties felt across your Lancashire community? This process is called fracking and it is fast becoming a reality of the modern world and of a society which strives for more efficient energy sources and effective ways of retrieving them. 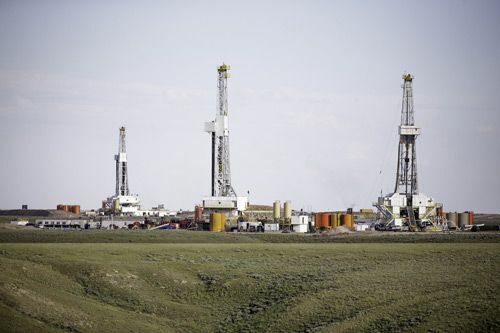 In simple terms, it involves drilling into the ground, injecting water and other chemicals at high pressure, allowing gas to be released from within the rock. As well as providing for the recovery of gas, it also makes it easier to retrieve supplies of oil that still exist underground. The benefits, in terms of energy provision, therefore, are clear. More importantly, though, the process of fracking has long caused a number of important concerns. Some argue that the chemicals increase the risk of cancer, whilst excessive use and pollution of water is another commonly identified problem. Most significantly, however, is the danger of earthquakes. Talk of earthquakes in Lancashire might seem somewhat fantastical, but two tremors, recorded near Blackpool in 2011, are likely to have been caused by fracking experiments. When supplies of shale gas were discovered in parts of Lancashire and a planning application submitted to the County Council to dig wells for its retrieval, local people spoke out with thousands of local residents vociferously opposing the plans. The Council listened and the planning application was rejected amidst much celebration, providing a glowing reference for the value and effectiveness of local democracy. Power to the people was safe and well, at least in this corner of Lancashire. Following an appeal to central government, however, Sajid Javid – Secretary of State for Communities and Local Government – yesterday overturned the decision of Lancashire County Council and gave the go-ahead for fracking at sites near Blackpool. 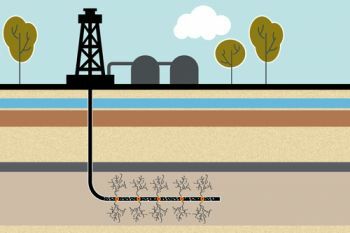 The environmental benefits and disadvantages of fracking are widely debated: the issue centres on the need to seek new and efficient ways of retrieving energy supplies, in a way that is not harmful either to the environment or to local people. It is not the purpose of this piece, however, to weigh in and engage necessarily with those discussions. A more fundamental and pressing concern is the damage such a decision has and will have for the state of local democracy. ‘The planning authority decides whether the activity is acceptable at that particular location, after local communities and other interested people have had the opportunity to set out their view on the benefits and impacts of the proposal’. This is precisely what happened in Lancashire, immediately before the County Council’s rejection of the planning application in 2015. But what value is that process if central government – detached both geographically and governmentally from concerns underpinning a community’s views on the matter – can so blatantly overturn the decision of the local council (as the planning authority)? It seems somewhat duplicitous for a government that only 18 months ago encouraged localities ‘to take control of [their] own affairs’, simultaneously acknowledging ‘that the old model of trying to run everything in our country from the centre of London is broken’ to then silence the views of local people and councillors in favour of centralised economic and energy-focused objectives. A government so ostensibly committed to the pursuit of local democracy must appreciate that the realisation of that vision is conditioned by an understanding that local people know best their own desires and expectations and, more broadly, what is best for their local communities and areas. Such views might not always sit easily with the centre’s own objectives and policies, but that is the price of democracy. They should not run roughshod over local views and experiences, but seek to accommodate them as best they can within the broader decision and policy-making process (where it is even deemed necessary that they interfere and input in local matters).